Nuestros chicos y chicas con discapidad son el motivo por el que trabajamos duro día tras día. Detrás de cada uno de ellos se esconden historias realmente duras pero gracias a nuestra labor y su deseo de superación, hemos logrado que puedan volar en el sentido más amplio de la palabra. Nos gustaría que sepas quién son y como Kupu Kupu trabaja y se esfuerza para mejorar su calidad de vida. Por eso hemos creado esta página, para que puedas conocerlos un poquito mejor y te animes a colaborar con nosotros convirtiéndote en su ángel guardián gracias a la fórmula del apadrinamiento. Hello, my name is Wayan Riani. I have had polio since I was a child. KupuKupu Foundation has been helping me for more than 10 years. 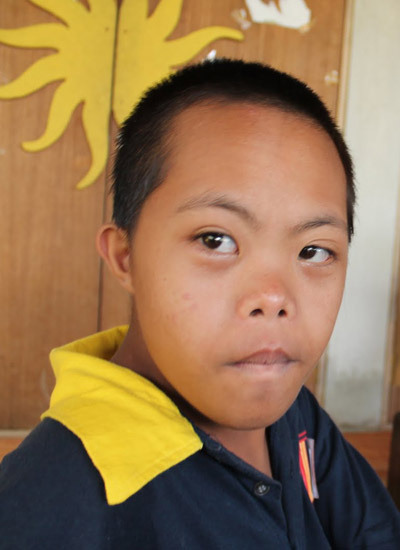 They pick me up from my home every Thursday and I go to the school in Ubud where I can meet my friends, learning things, play and socialize with other people. 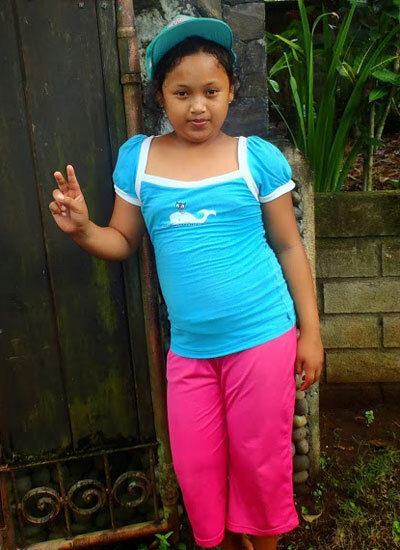 Sponsors have helped me at home by buying me a new mattress, painting my room and building a toilet. For me it is very important to go to the Foundation because it is the only time I get out of my house. They have taken me to many places in Bali and I was able to see the sea for the first time, visit the Bali Zoo or a swimming pool. Thanks a lot and have a great time in Bali! Hello, I am Wayan Giana. Pak Wayan, the driver from the Kupu Kupu Foundation, picks me up everyday at 9 am to take me to the Foundation school in Ubud. I stay there until 5 pm when he takes me home. I love to go to the Foundation because I can learn things. I am learning how to read and write and I know the alphabet. 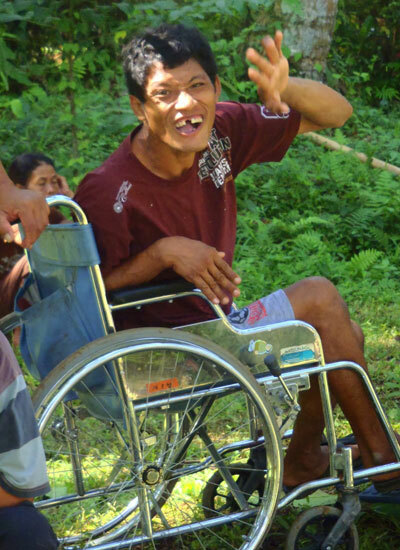 I use a wheelchair the Foundation gave me and I have lots friends at the Foundation. I love it when they take us around to Bali for trips and I especially love go to the beach. I so much enjoy playing in the sand and water. My father passed away last year and my mum is working on building projects. If the Foundation did not pick me up I would have to spend the day sitting on the floor by myself. Thank you for supporting me! Hello, my name is Alit. 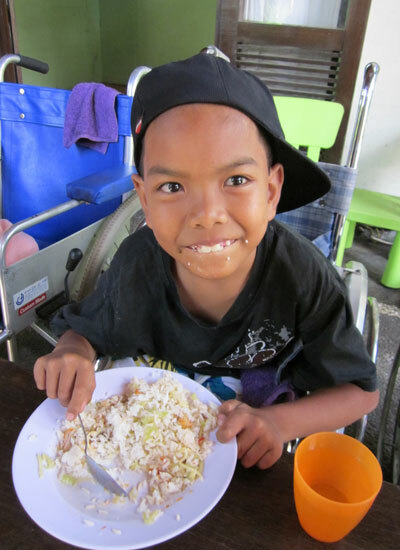 Every Tuesday I looked forward to going to the Kupu Kupu Foundation school in Ubud. I have been going there for many years since the Foundation was set up in Bali in 2002. 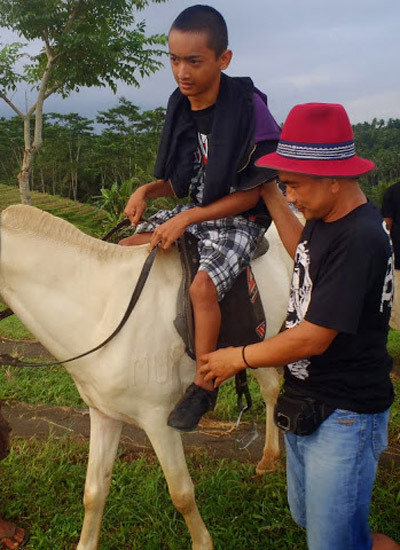 I really like to go there because it is the only chance I have to be out of my house, make friends, learn things and socialize out of my Balinese compound near Gianyar. I really enjoy it when we go to the beach and see some other places around Bali. I hope you enjoy our beautiful island! Da daaaaaaaaaaa is a very informal way to say Bye Bye!! Hello, I am Gaora from a village close to Bangli town. I go to the Kupu Kupu Foundation school in Bangli once a week and I enjoy many day trips when we go to the beach or to the swimming pool. The first time I went to the swimming pool I was so scare and I didn't want to get into the water, but Putu Kumala helped me and after a few hours I enjoyed it so much. I didn't want to go back home!!! I like to be at the Foundation because I can play with many things and make new friends. Everybody is very friendly and they love to take care of me. Thanks for supporting Kupu Kupu Foundation. Hello, my name is Nova! I am from Mas, a village close to Ubud and famous for woodcarvings. 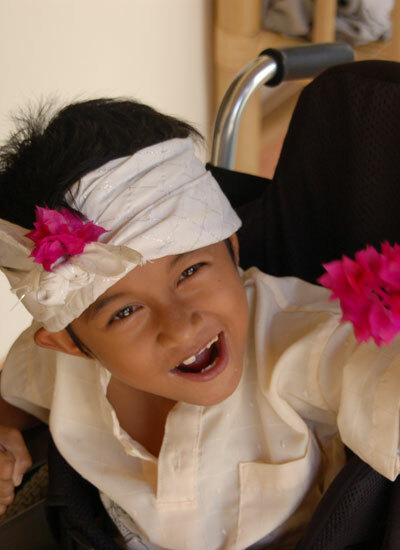 Since I was small I have been going to the Kupu Kupu Foundation school in Ubud, where they have been helping me a lot. Pak Wayan, the driver, picks me up three times a week and I spend the day there until my father comes to take me home at 5 pm. 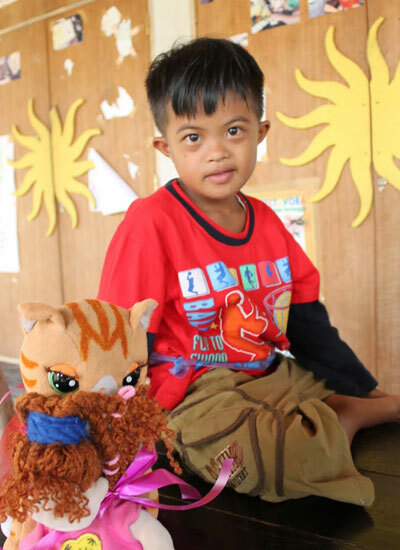 I love to go there because I can play with a lot of toys and puzzles and I have made a lot of friends. I learned to ride a bicycle there and the Foundation bought me one and I really enjoy riding it. I also love drawing and painting. Last year my mum had a baby and I am so happy now because I have a little sister, she is so cute, she drinks a lot of milk and doesn't cry. I love to have her in my arms. The thing I enjoy most is going to the beach with all my friends from the Foundation. I especially love to play in the sand and water. Hello, my name is Wayan. I am from Sideman, a beautiful village in the east part of Bali. 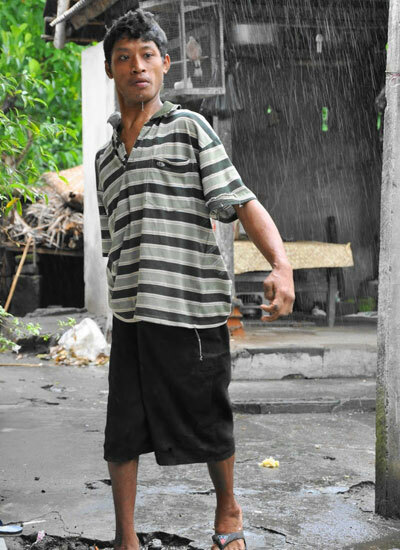 I am deaf and mute and since four months ago I have lived at the Kupu Kupu Foundation in Ubud. 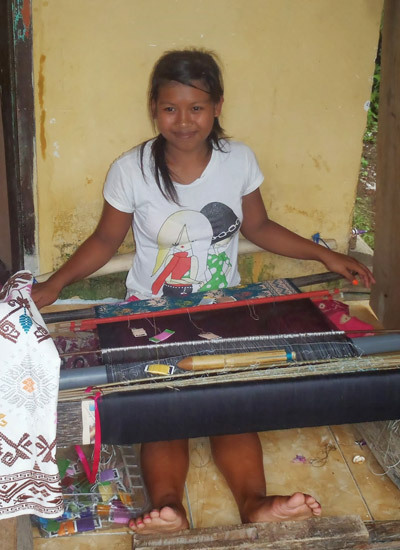 I work making songket, a traditional cloth woven in my village. My mum taught me to weave. 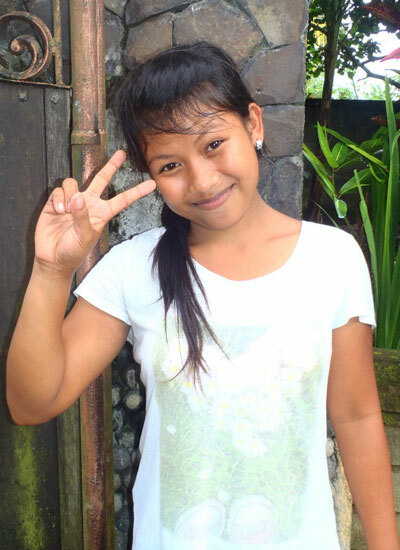 I had never been to a school and never been out of my village until the Foundation gave me the chance to live in Ubud. Usually the driver picks me up on a motorbike on Fridays and I spend the day there until he takes me back home. I have two sisters and one of them is deaf and mute as well. She now goes to school. I love to be at the Foundation because I have many chances to make new friends, travel around, have new experiences and learning new things. Have a beautiful day in Ubud and enjoy your holiday in Bali! Hello, my name is Dewa and I am from Pejeng. I have two younger sisters. My father has psychiatric problems and he had to leave my family in my mum's Balinese family compound. We are supposed to live in my father's house but he cannot take care of us. I cannot walk or use my left arm and hand. 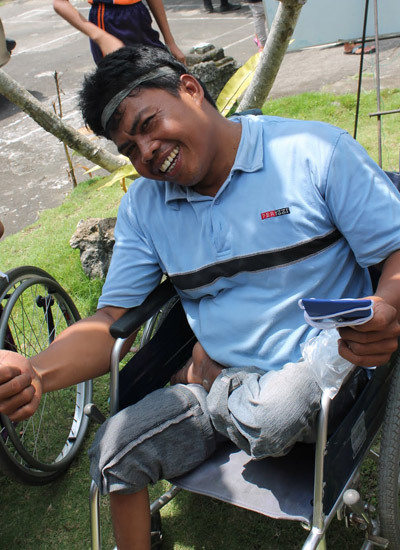 Pak Wayan picks me up on Monday with his motorbike and takes me to the Kupu Kupu Foundation in Ubud. I stay there until Wednesday. During the day I go to their school. I learned to use a wheelchair at the Foundation and now I can use it on my own by pushing with one foot and one hand. I am also learning to write and now I can write my name and some other words. I am very happy to have the chance to go there and make many friends. Thank you! 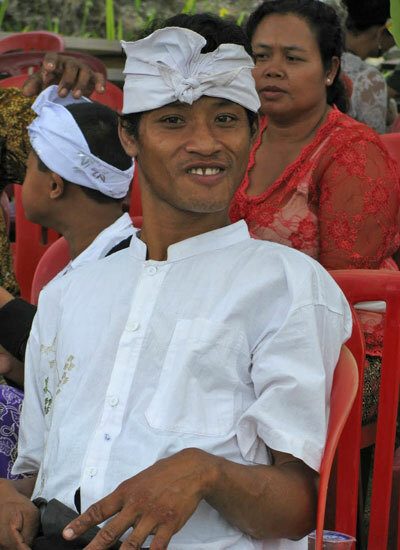 Hello, my name is Komang, I am from Sideman, a Little village close to Gunung Agung. 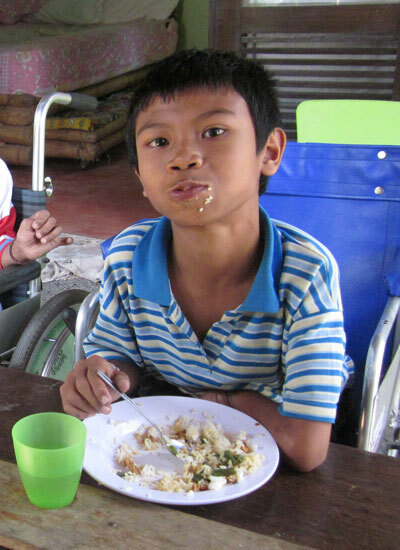 I am deaf and mute but thanks to a sponsor I can go to a school for disabled children in Klunkung. I have two sisters and one of them she is also deaf and mute. 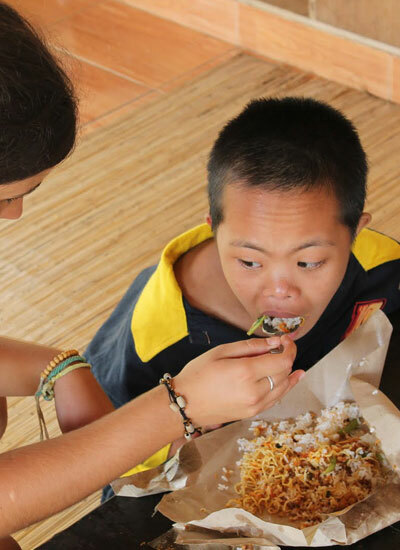 My deaf mute sister has already lived at the Kupu Kupu Foundation in Ubud for a few months. She is very happy there although I miss her so much. My mother and my two sisters make beautiful songket, a traditional woven cloth from our village. Sometimes they pick me up and we go to the Foundation for days trip or to go to the beach or to the swimming pool. Once a year we go to Tabanan. I love it there because we have so much fun the whole weekend. Have a nice time in Bali!!! 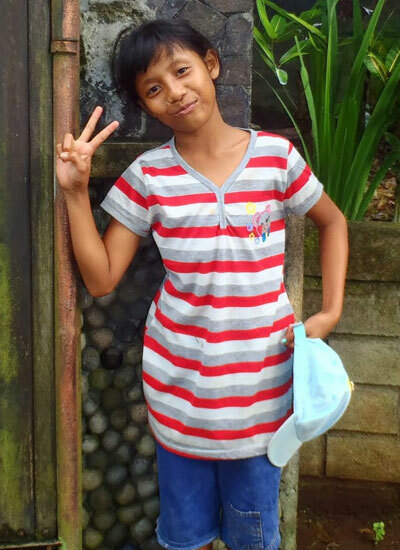 Hello, my name is Sinta, I am from a small village in Bangli District. I am deaf and mute and had never been to school before. 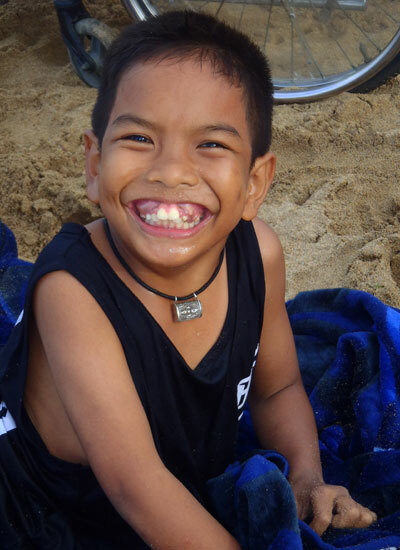 Now the Kupu Kupu Foundation given me a chance to go to their small school in Bangli and they pick me up once a week and when there is a special activity like a day outing to the beach or to the swimming pool. I love to ride the bicycle at the Foundation because I don't have one in my house. 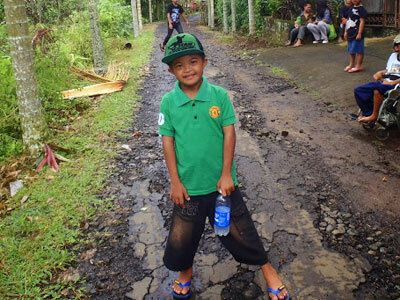 Hello, my name is Putu Satria, I am from a village in Blahbatu. 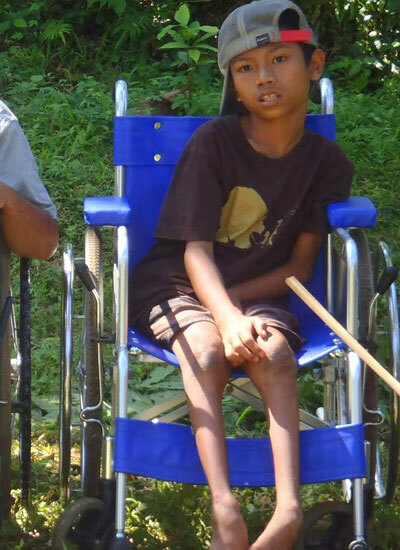 I have cerebral palsy and the Kupu Kupu Foundation has been helping me for more than eight years. My father passed away last year and now I live with my mother in Gianyar. 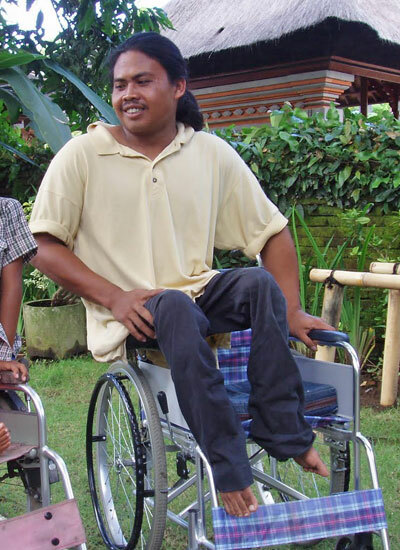 Pak Wayan, the driver of the Foundation, picks me up three times a week to go to the Foundation school in Ubud. I spend the day there until 5 pm when we go back home. I love to play more than to learn and Ibu Begonia says I am lazy!! I love to play with the cellphone of anyone visiting the Foundation. I love playing games and seeing photos, videos or seeing the pictures on cameras. Hello, my name is Kadek. I am from a small village in Bangli District. I have Down Syndrome. The driver of the Kupu Kupu Foundation in Bangli picks me up to take me to the Foundation school in Bangli, where I spend the day until he takes me back to my house. At the beginning I was very shy and I didn't want to socialize much, but little by little I got familiar with all the friends at the Foundation and now I am more open and friendly. I like to write things but I don't like water and when we go to the beach I always refuse to get into the water. I love to play with the sand on the beach but not be close to the water. Hello, my name is Gusde. I am from a village called Sideman close to Mount Agung in east Bali. My brother and I have muscular dystrophy. We live with our uncle in a Balinese compound. Our parents passed away a few years ago. 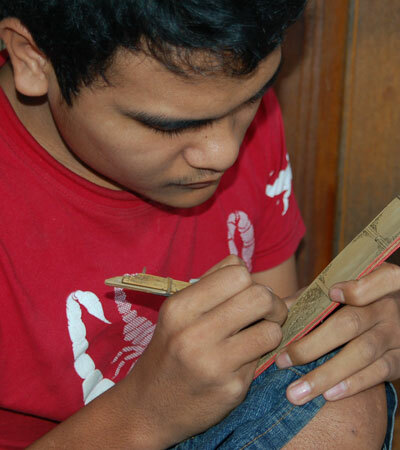 I paint lontars, (palm leaf manuscripts) a very traditional handicraft originating from my area, Karangasam. We use palm leaves to draw Ramayana stories, Ganesha, Saraswati (Gods), Balinese calendars and the Barong. The Foundation sells the lontars at its shop in Ubud. This is the only income we have to live on although the Foundation has been helping us with rice and cooking oil. I am happy because the Foundation has successfully promoted my handicrafts. Please ask the shop girls where are my lontars! Thank you!! 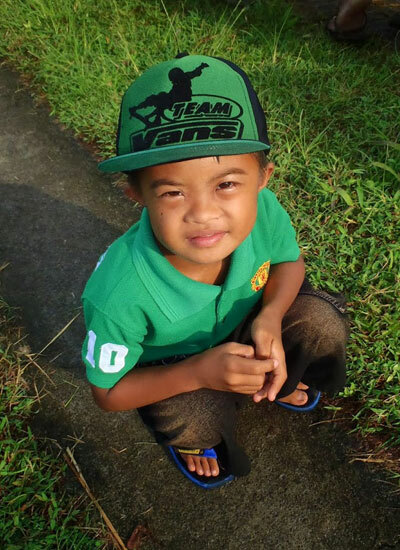 Hello, my name is Putu, I am from a small village in Bangli District. I have Cerebral Palsy and cannot walk. 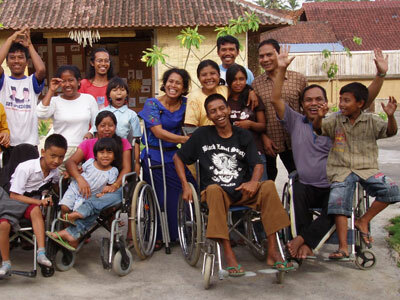 The Kupu Kupu Foundation has been helping me since the Center opened in Bangli in 2009. They pick me up sometimes or my mum takes me to the Foundation. In the photo we are in Tabanan, we go there once a year to spend a weekend full of activities. 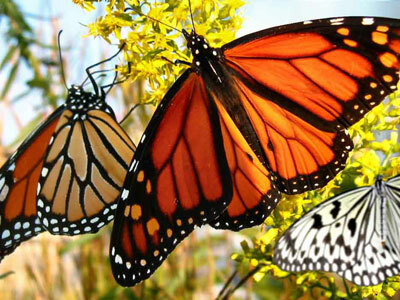 We flying kites on the rice fields, go fishing in the river, play games and do so many fun activities. I like to go to the beach and to the swimming pool as well. I have so many great friends at the Foundation. Pak Alit is a great person who has been helping me so much all these years. 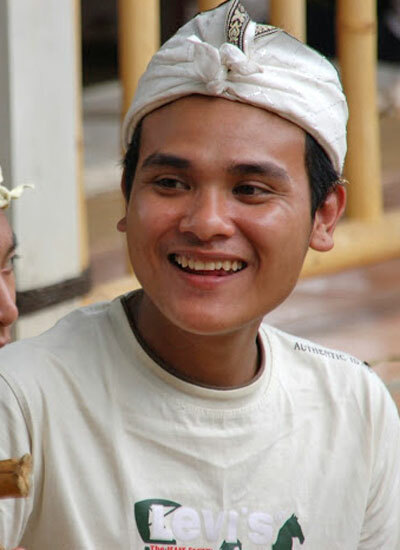 Hello, my name is Made Jaya Muda, I am from Mas, a village of wood carvers close to Ubud. 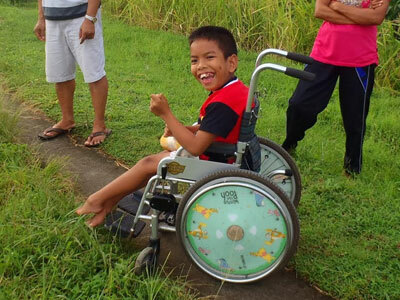 I have polio and the first time I went to the Kupu Kupu Foundation (more than 10 years ago), they gave me my first wheelchair, put a toilet in my house (we didn't have one at that time) and made a ramp to the toilet. 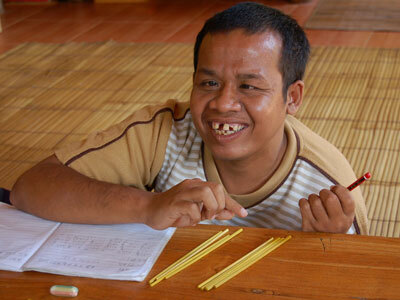 I had never been to school so they took me to their small school in Ubud where I learned to read, write and do maths. After that they gave me a job working in their Ubud shop where I used to do my woodcarvings as well. 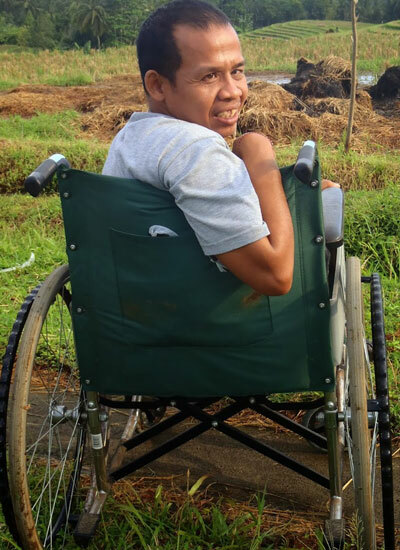 I worked there for four years, and through a sponsor we made a three-wheeled motorbike especially for me and finally I was able to be physically independent. With independence, I got a girlfriend. We are now married and have a little boy. Puedes conocer un poquito más acerca de mí y mi historia en el siguiente video. Gracias!! 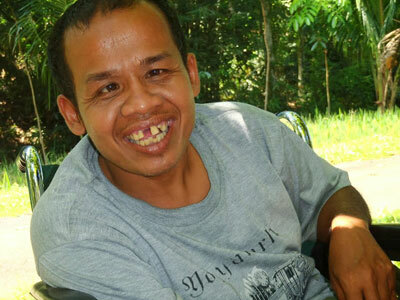 Hello my name is Sang Agus, The Kupu Kupu Foundation has been helping me for a few years. They pick me up to go to their school once a week and any time there is a special event or days out to the beach or swimming pool. At the beginning I was very very shy and I didn't talk to anybody. I didn't have much confidence in myself but little by little I learned to open up and be more confident. I love to read books and help others at the Foundation. Pak Alit, the Director of the Foundation in Bangli has encouraged me to talk more and he is helping me a lot. Please come to visit us at Bangli if you have a chance. Have a great day! Hello, my name is Alit. The Kupu Kupu Foundation has been helping me for the last five years. 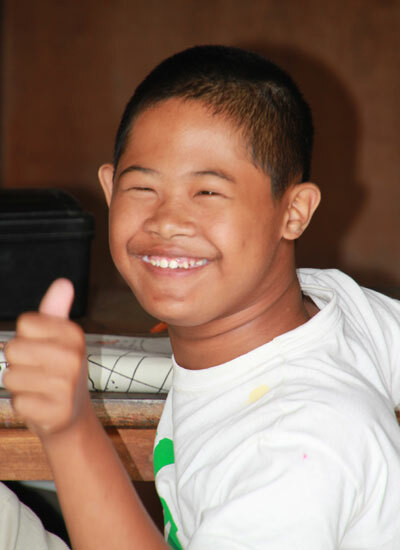 They pick me up once a week to go to the Foundation school in Ubud and whenever there are special activities or trips. I love to be at the school there because it is the only day I leave my Balinese family compound. At the Foundation I talk to people and make friends and I love to draw lines on a piece of paper and try to do drawings. 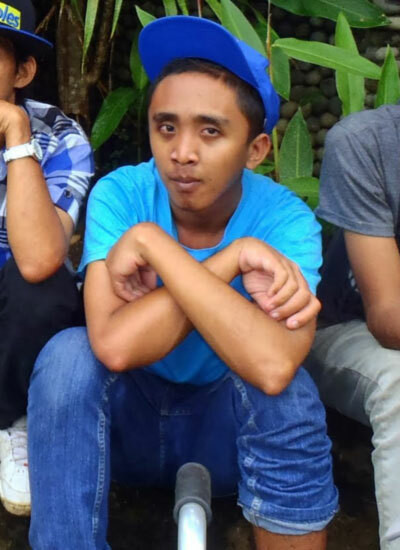 The second picture was taken in Tabanan where we went to spend the weekend with a lot of friends. We flew kites, fished in the river and played games. It was very especial for all of us. I was very excited when I caught a fish!! !